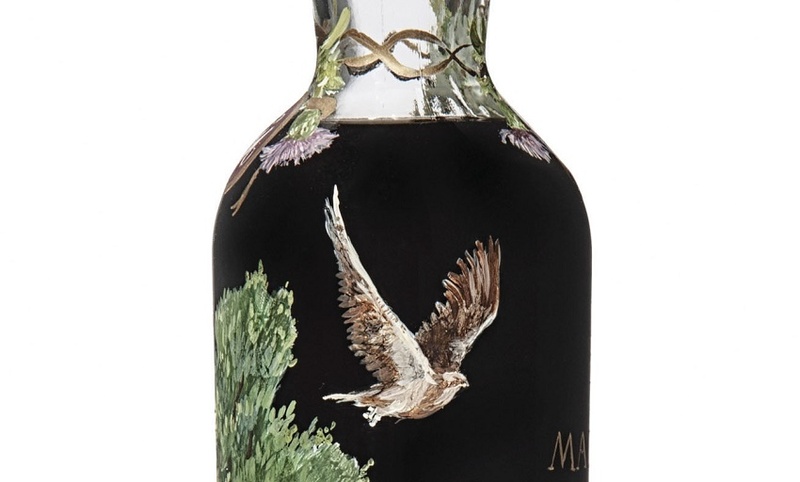 A unique hand-painted bottle of Macallan whisky has sold for $1.5 million at Christie’s, setting a new record as the world’s most expensive bottle of whisky. 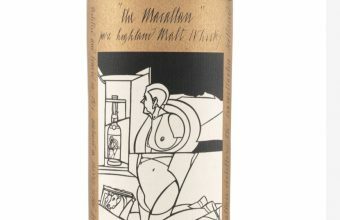 The Macallan 1926 60-Year-Old featured artwork by Irish artist Michael Dillon, and sold at Christie’s in London on December 29 for £1,200,000 ($1,528,800). If the new owner is planning to enjoy the whisky themselves, that works out at around $90,000 per shot. 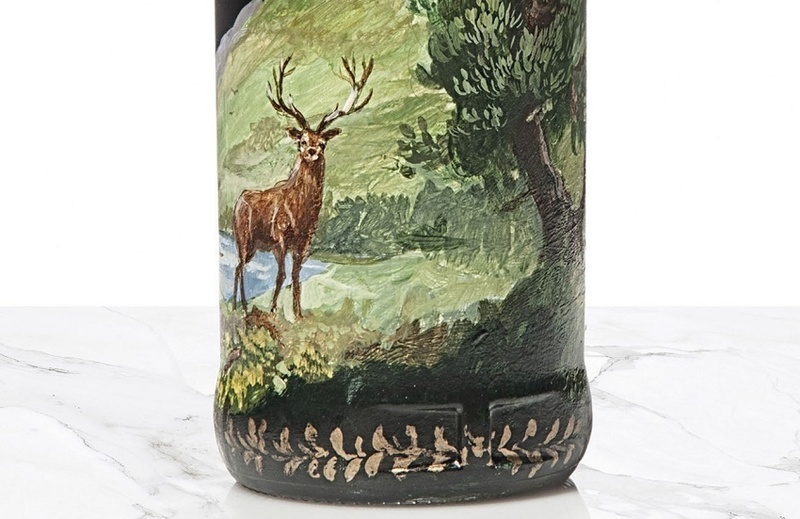 The decorated bottle had originally been commissioned and sold by the London luxury retailer Fortnum & Mason in 1999. 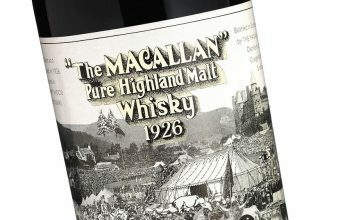 “The sale represents a landmark moment in the whisky market,” said Tim Triptree MW, Christie’s International Director of Wine. 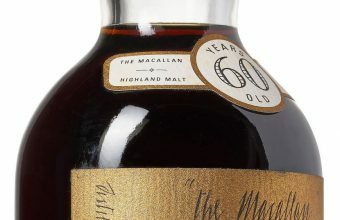 The Macallan 1926 60-Year-Old has been described as “undoubtedly the finest and most collectable single malt produced in the 20th century”. It was originally produced in 1926, at the company’s distillery near the river Spey in North East Scotland, and aged in a barrel for 60 years before being bottled in 1986. Twenty four bottles were produced in a special series, featuring labels designed by the renowned artists Sir Peter Blake and Valerio Adami. These bottles (12 in each design) are now regarded as the ‘Holy Grail’ for whisky collectors, and have repeatedly sold for record prices over the past 12 months. In May 2018 two bottles sold at Bonhams in Hong Kong, smashing the auction record for a bottle of whisky twice in quick succession. 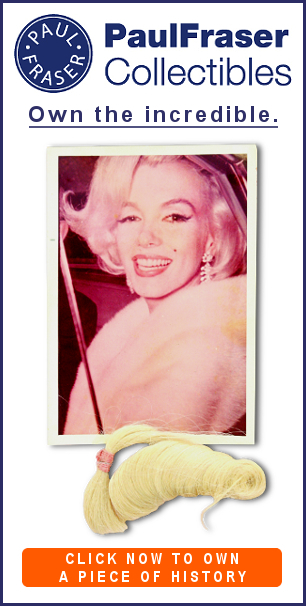 A Peter Blake bottle sold for £782,145 ($1 million), only to be surpassed minutes later by an Adami bottle that made £814,081 ($1.1 million). Then in October 2018 another of the Valerio Adami bottles sold at Bonhams in Edinburgh for £848,750 ($1.1 million), exceeding the record once again. The Adami bottles have traditionally achieved higher prices at it’s believed there are few examples in existence. At least one of the bottles is known to have been drunk, whereas another was destroyed in the Japanese earthquake in 2011. However, the bottle offered at Christie’s was far rare than either. 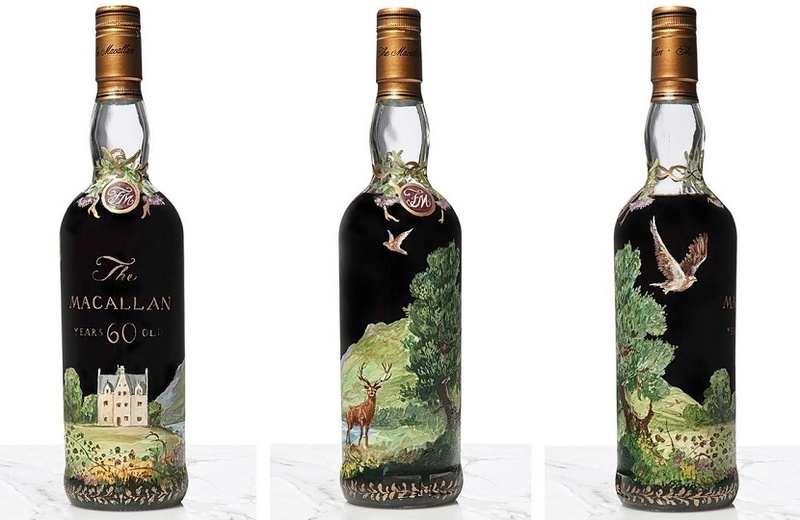 This twenty-fifth bottle of Macallan 1926 60-Year-Old is a one-of-a-kind design, hand-painted directly onto the glass by Michael Dillon, famed for his murals and decorative objects. 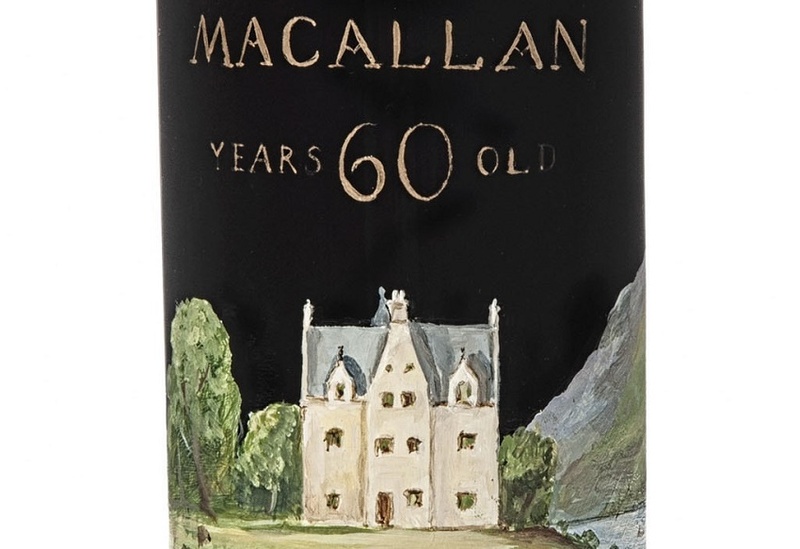 The painting depicts Easter Elchies House, the 318-year-old manor house at the heart of the estate where the Macallan distillery was established in 1824.